It's wedding season! For some of us, this means the big day is coming (congrats! ), while for others it means a bunch of parties to attend. And because no party is complete without the proper fuss around what to wear and how to do our hair, we've rounded up 25 wedding updos to help out. Some of these are more elegant and some more casual. But surely there's one for you, whether you're a bride-to-be, a bridesmaid or a guest. 1. Brooch Hair Comb – Roll up your hair and bobby pin it, then add a little bling with this handmade hair comb. 2. 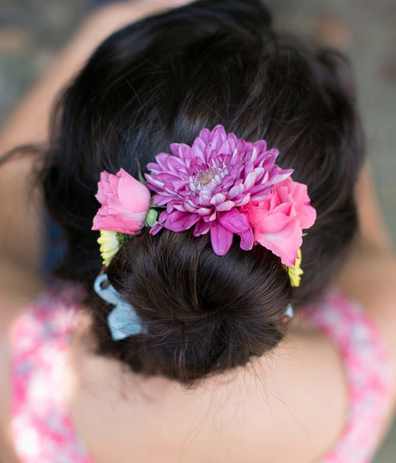 Rose Bun Tutorial – This rolled bun is adorned with pretty flowers. Our tip: use hair spray on the flowers to make them last longer! 3. Knot braid – A knotted braid may be simple, but when it's embellished with flowers, it looks romantic and wedding-ready. 4. DIY Braided Side Bun – Asymmetric buns are a fun twist for the unconventional, yet romantic bride. The braid makes it even better! 5. Double Hippie Crown Braids – This not only keeps your hair off your face, but it does so in the prettiest of ways: with a double crown. 6. Lace Braid – A boho hairstyle that you can wear for any wedding dress code, and even with your jeans and flat sandals. 7. DIY Chanel chignon – The runway is always a source of inspiration, so check out the latest shows for ideas! This tutorial shows you how to get the Chanel look. 8. Upside Down French Braid Bun – An intriguing combination of hairstyles that will surely leave an impression. 9. Triple Braided Bun – Why settle for a bun when you can have three, and add flowers to them, too? 10. Bohemian Braids – The perfect thing to do with curly hair when you don't want it on the back of your neck. 11. Braided Updo – You can make your bun as simple as you like, as long as you give it some charm with a braided crown. 12. Two Bobby Pin Wedding Updo – That's exactly how many bobby pins you need for this relaxed updo, so you can imagine how easy it is to make. 13. 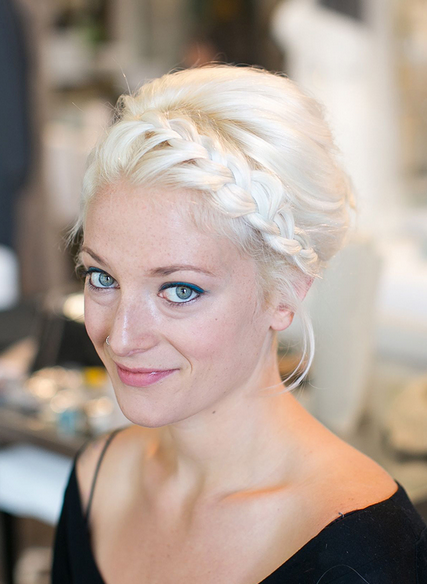 Bridal Hair Tutorial – Just messy enough to wear comfortably, this updo can be done by the bride herself. 14. Pretzel Braid – An easy – breezy, romantic hairstyle that's best suited for longer hair. 15. Low Bun with Crisscross – The epitome of romance, with face-framing pieces falling down, and easy to achieve. 16. Jessica Alba's Sophisticated Chignon – For the big day, get inspiration from the stars! For this particular tutorial, you need just a few basic supplies. 17. Top Bun – A classic look can never go wrong! As a bonus, this bun works best with second day hair. 18. Runway Inspired Braided Hairstyle – Get the Fall 2014 runway look with this great updo you can do with your own two hands. 19. Double Waterfall Braid – Keep it simple with this waterfall braid, a romantic look that you can pull off even without the longest hair. 20. Swedish Crown Braid – A romantic hairstyle which you can easily adorn with your favorite flowers or jewels. 21. Fresh Flower Bun Wrap – The perfect way to share your love for the season: wrapping your bun with fresh flowers. 22. Messy Bun with a Braided Wrap – A pleasant combination of messy and proper, this updo is not nearly as challenging as it looks. 23. The Heart Braid – It doesn't get any more romantic than this! A heart shaped braided hairstyle for the big day. 24. 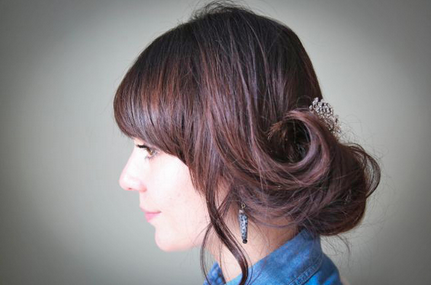 Low Knotted Bun – A sophisticated updo that will also give you natural curls the next day. 25. The Twisted Bun – Knotted and twisted, this bun is simple, but it looks spectacular. 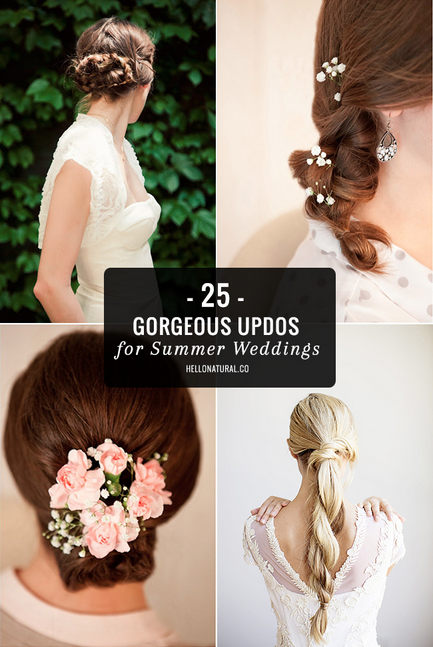 What updos for summer weddings are your favorite?